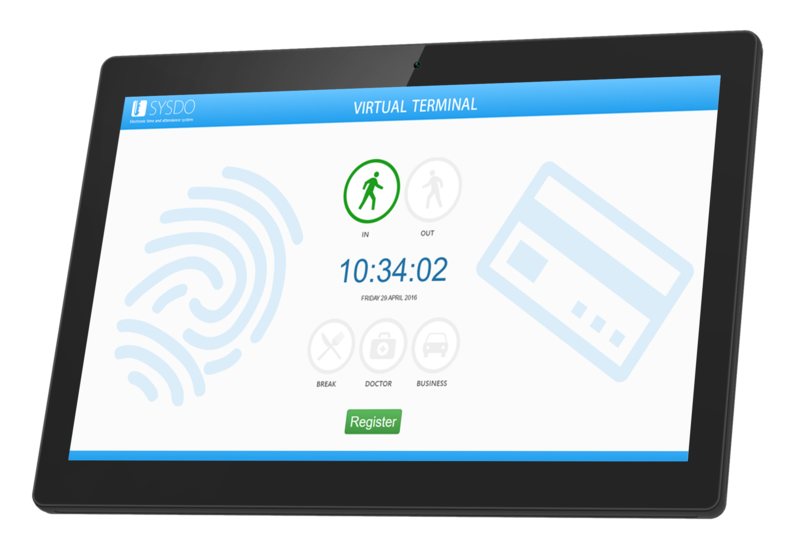 The virtual terminal is a very popular tool designed for recording attendance. The entire communication runs through a computer (a smartphone or a tablet) where a hardware reader is replaced with a website which is a part of the SYSDO application. The virtual terminal is also included in the mobile application. User is verified by entering a password. Thanks to this solution a user can log in from any place right from his mobile phone or computer because virtual terminal becomes a part of his SYSDO account. For a retrospective control each access/time punch has stored a log with GPS coordinates. In the case of using virtual terminal, there is no need of buying any other hardware. Acquisition costs are therefore zero. Employee’s work phone when it is possible can record attendance when working form home. It’s possible to use the virtual terminal functionality restriction for the internal company network only.